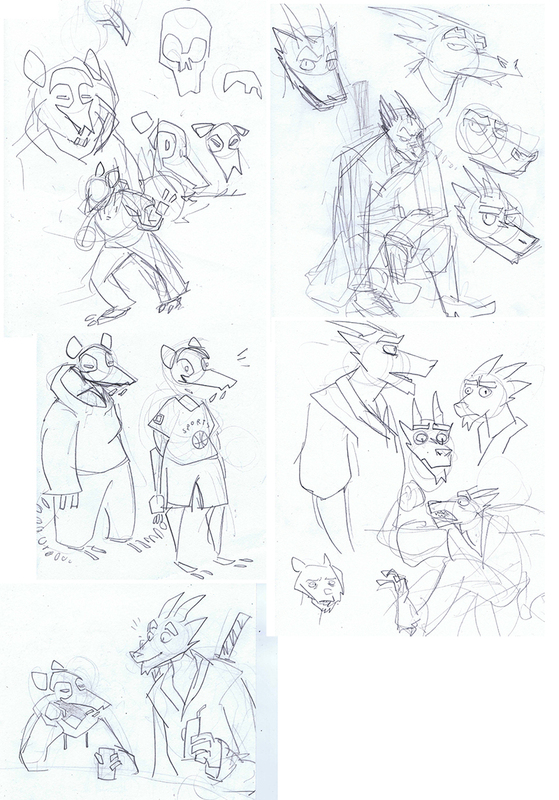 Kicking off with some real early sketches of Drakken and Vrrmn, back from when I was still nailing down the particulars of XW. Drakken’s horns would eventually get smaller, while Vrrmn would drop the weird, almost chibi-esque proportions and assume more of a normal human size. Can you tell I like designing characters with real elongated head shapes, by the way? Because I do!